DIY Cleaning Spray for the Kitchen - Oh, The Things We'll Make! 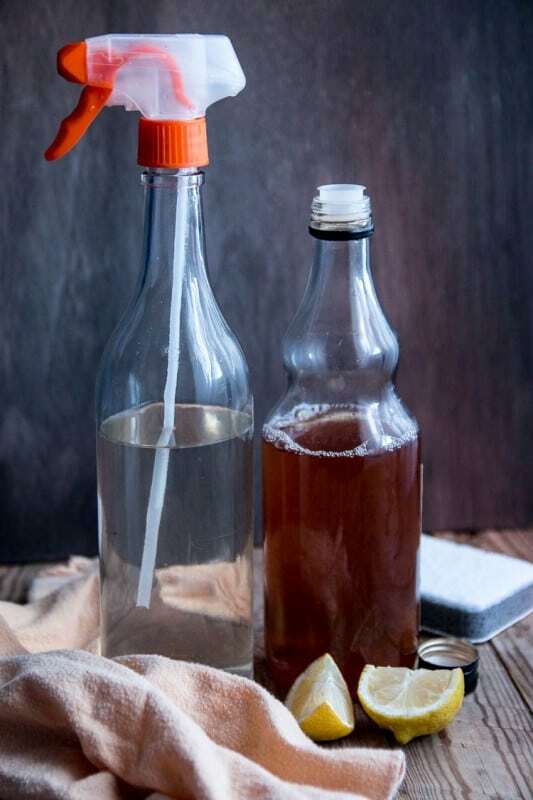 It isn't difficult to make a non-toxic, multi purpose DIY cleaning spray that is effective for cleaning the kitchen and other areas of your house. Today Patricia Cornwell is bringing us another post about DIY natural cleaning. 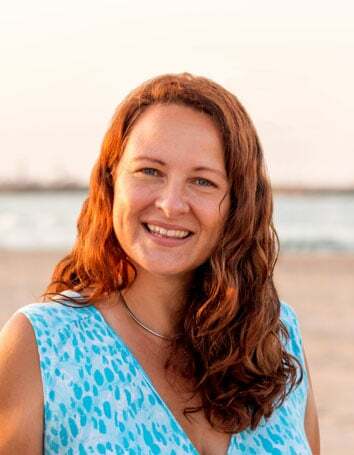 Patricia is a small cleaning business owner, writer and self-proclaimed home improvement DIY expert, and last time she was here, she shared here her expertise in the area of cleaning and disinfecting using essential oils. There is no doubt that the kitchen usually requires more care when it comes to cleaning than the other rooms. The constant cooking can create a big mess, and it's best to take care of it immediately. Unfortunately, that is not always possible and by the time you decide to disinfect everything, the appliances and other areas are already covered with greasy stains and other grime. There are all kinds of effective cleaning products in the shops that you could use that are filled with chemicals that could endanger your health and the health of the other members of your family. That is not necessary, though, because there an easier, but also more effective way to disinfect your kitchen. The cleaning of the kitchen and other parts of your home don't have to be a torture. You don't actually need strong and toxic cleaning products; you can make your own eco cleaners at home that can be just as effective. You only need a few inexpensive ingredients which you can find without problems in almost any shop. 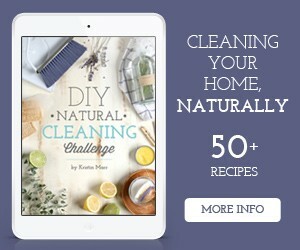 There is a wide variety of DIY cleaning recipes available, but cleaning with natural sprays is the easiest way to provide your kitchen with sparkling cleanness. If you have never used white vinegar for cleaning before, now is the right time to give it a try. You can make a natural cleaning spray which you can use as an all-purpose cleaner in your kitchen and other areas of your home. You need a clean spray bottle, 1 part white vinegar, 3 parts filtered water and little lemon juice. Put everything in the spray bottle and shake it to mix together the ingredients. You can start cleaning immediately. The professionals at CleanToPerfection N17 affirm that many essential oils have the ability to effectively disinfect all kinds of surfaces and objects. As a bonus, they also add a nice fragrance and are usually not dangerous to human health. That is why you can include them in your recipes for an effective kitchen cleaning spray. To make a DIY cleaning spray with essential oils, mix together 1 part apple cider vinegar with 3 parts water and several drops of an essential oil like lemon, lavender, or eucalyptus in a clean spray bottle. (Read about the best essential oils for disinfecting.) You can even combine two or more essential oils. Just make sure that you are informed about the different qualities of each oil. Apart from cleaning, you can use this mixture to freshen up the air in your kitchen and in the other parts of your home. Another effective kitchen cleaning spray that you can try uses either dish soap or even grated bar soap. (I make my own basic beginner soap for these sorts of projects!) Apart from a clean spray bottle, you will also need water, some natural dish soap or dissolved bar soap, and a couple of drops of the essential oil you like most. This cleaner is very effective when you have to disinfect different surfaces in your kitchen, as well as when you have to remove effectively the grease and dust from appliances or other objects. As you can see, all of the ingredients necessary for preparing different effective kitchen cleaning sprays are simple and quite affordable. It isn't difficult for you to find them and make your sprays whenever you like. With these DIY cleaning sprays you will be able to disinfect your kitchen from top to bottom without worrying about chemical residues that could endanger your family's health. You can also easily use them to disinfect other parts of your home. Before you know it, you will find yourself only using these natural cleaning products. Looking for more great DIY cleaning recipes and tips? A mix of white vinegar and lemon is a magic product indeed!! But what Benaz and Valore did to my house cleaning routine is simply amazing and unbelievable. It eliminates the toughest stain without any effort at all!! Must TRY !!!!!! Can we use this any of the cleaning spray above in wood floors or granite countertops? Fantastic! I use cleaning spray with dish soap. It is easy to clean with it. The most important thing is that all homemade cleaners are really cheap. You spent dollar or two most. Thank you for sharing your article! Best regards! Yes, I agree. It’s nice to be able to save a bit of money when making your own household cleaners.